To promote and encourage the Spiritual, Physical and Social Welfare of the village and community. To witness to the Gospel of Jesus Christ. On the first Sunday of each month, at the earlier time during the winter months. On the third Saturday of January, March, May, July, September, and November. On the third Sunday of February, April, June, August, October and December. Bring your own mat. £7 a session. All are welcome. Term time only. All welcome - Have a go. The choir meets during school term time and will not be meeting through the school holidays. Every Tuesday, 7:30 p.m. - 9 p.m.
With space for those who want to bring their art or craft activity. Every Wednesday, 10 a.m. - 12:30 p.m.
Dancefit classes meet every Thursday morning. For school years 5,6 &7. The Drama club will close for the school holidays. 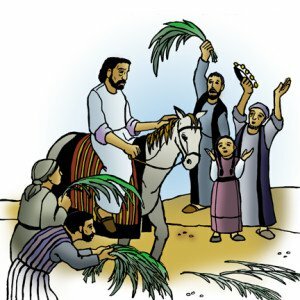 Every Friday, 6 p.m. - 7 p.m.
From the Chapel to St Martin's Church, on Good Friday morning. Friday 19 April 2019, 10 a.m.
Join us for a family procession with Noddy the donkey , 10 o clock at the chapel for a family procession to St Martins. A short service at the church will be followed by hot cross buns. 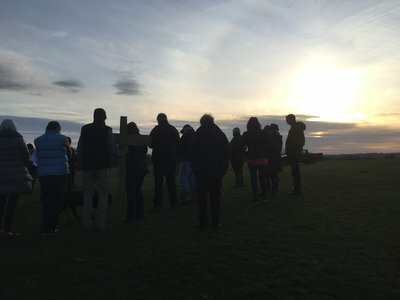 Sunrise service on Nibley Knoll followed by bacon rolls in the Chapel. Sunday 21 April 2019, 6:30 a.m.
Meet at the bottom of the lane at 6.00 a.m. David Purnell will provide transport for those who are unable to walk up the hill. Friday 3 May 2019, 7 p.m.
Tickets £12 now available from Sue Convery, Jane Kennett or info@northnibleychapel.org.uk. 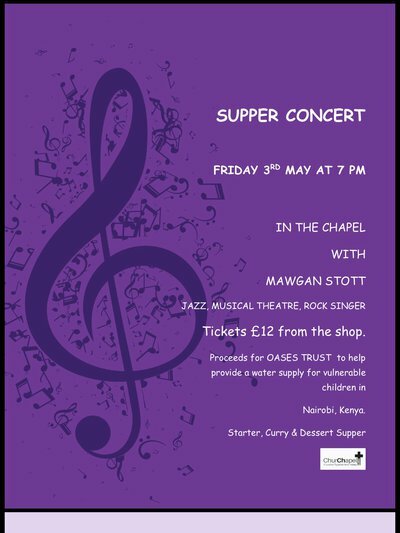 Proceeds from the evening will go the Oases Trust an organisation in Nairobi, Kenya that works and educates vulnerable children, lone parents and orphans. A modern, informal service around the font at St Martin's Church. Sunday 21 April 2019, 6 p.m.
Time again for a Spring clean of the Chapel, any help will be greatly appreciated. Saturday 27 April 2019, 9 a.m.
Sunday 5 May 2019, 6 p.m. In the Chapel, open to all. Monday 6 May 2019, 6:30 p.m.
N.B. note the new timings - due to popular demand! Saturday 18 May 2019, 10 a.m. - 11:30 a.m.
Sunday 2 June 2019, 4 p.m. In the Chapel, all are welcome. Monday 3 June 2019, 6:30 p.m.
Sunday 16 June 2019, 10:30 a.m.
Wednesday 26 June 2019, 6 p.m.
for a moment of calm . Sunday 7 July 2019, 6 p.m.
Monday 15 July 2019, 6 p.m.
Wednesday 18 September 2019, 6 p.m.
Sunday 1 December 2019, 6 p.m.
Tuesday 24 December 2019, 11:15 p.m.